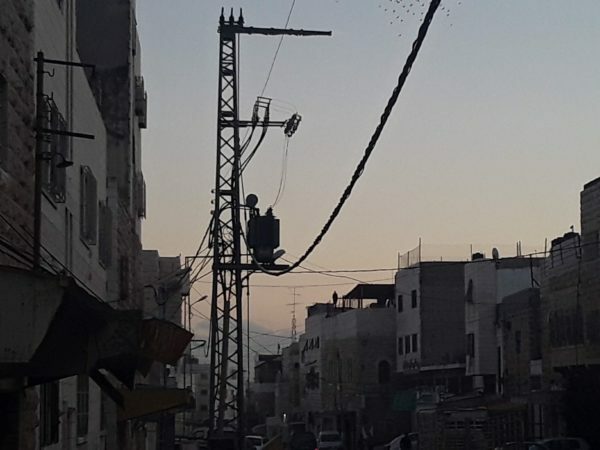 I have spent about 30 days in Al-Khalil (Hebron), this year. A short stay by ISM standards, and nothing compared to the tens of thousands of people who call this place home. Despite this, I already feel that the city has got under my skin. The beauty of Al-Khalil creeps up on you. First impressions can be rough; the soldiers, the police, the armed settlers, the wire and halogen lamp monsters that are the checkpoints, but after a while you begin to see it. The limestone brickwork glowing in the sunlight, the echoes of conversation that bounce up and down the tunnels of the old city souk. It creeps out and makes itself visible. The more you look for it, the more you see. Places have energy and tell stories, but these places would be nothing without the people. 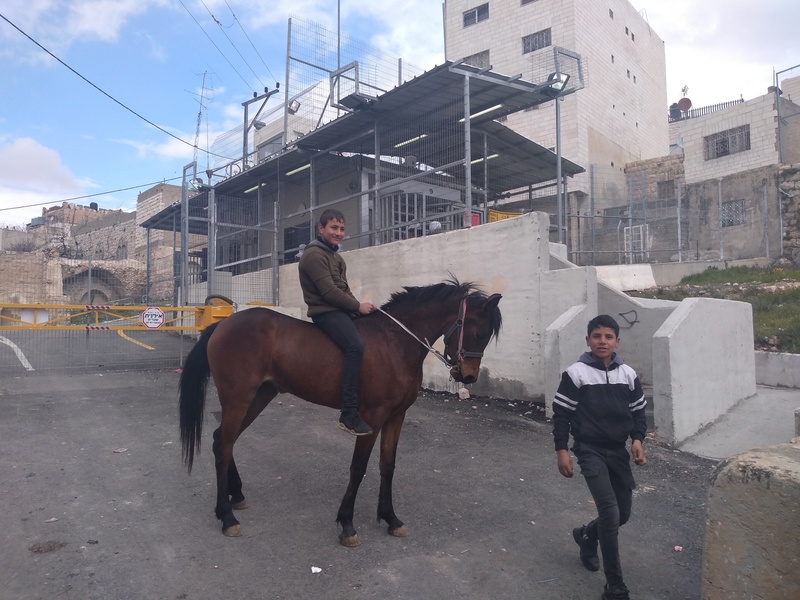 The occupation: horses hate it too! Above all else it has been the people of Al-Khalil that have made this place beautiful for me. The smiles as warm as the sun on the buildings, the shouts of “welcome!”, “ahlan wah sahlan!” and the endless offers of coffee make it hard to go anywhere fast, but they make your heart sing. Some people call Ireland the land of a hundred thousand welcomes, but I think that Palestine is more deserving of that title. There is so much beauty in the warmth and openness of the people here, but there is beauty in the daily acts of resistance against the occupation too. 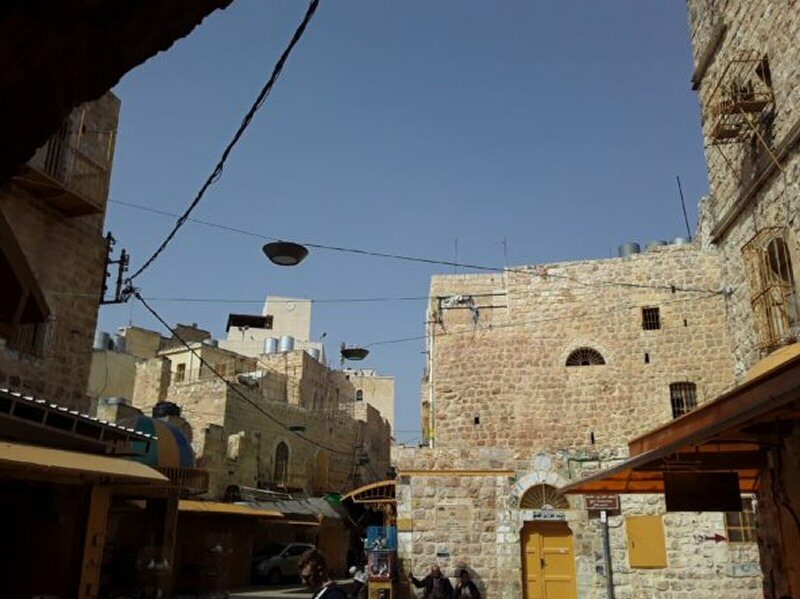 There is a deep and dignified beauty in the story of Abdulraouf Al-Mohtaseb, an Al-Khalil shopkeeper who refused to sell his shop and family home to settlers, even when offered 100 million US Dollars. There is a beauty in the fact that day in, day out he opens his shop, right in plain sight of settlers & border police and greets everybody with warmth and respect. There is beauty in the actions of the Principal of Qurtoba School, as she arrives early every day, walking defiantly down Shuhada Street and making sure that every one of her pupils gets to school safely. There is beauty in the fact that Leila, a member of the Palestinian Women’s Embroidery Co-operative, keeps her shop open every Saturday when her street is invaded by occupation forces and extremist settlers. Shop keepers, local activists and internationals all band together; cooperating to ensure that no violence is enacted against the residents of the old city during this time. 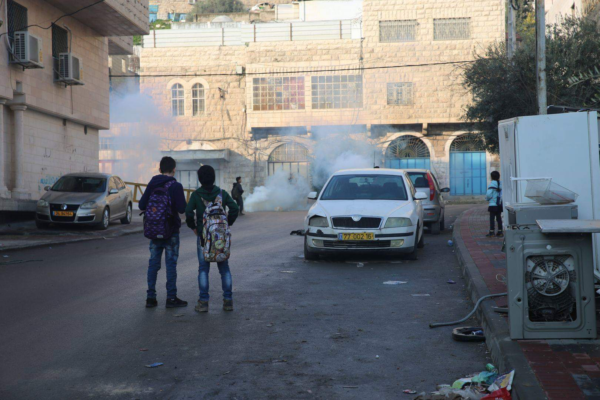 There is beauty in the fact that whenever an act of harassment, oppression, or injustice occurs in H2, there is a good chance that Imad Abu Shamsiyya, or one of his comrades in Hebron Human Rights Defenders will have trained their camera lens on the perpetrator and victim. Despite violence against them and threats on their lives, these activists fearlessly capture the violence and oppression that the Israeli state tries so hard to hide. Finally, there is beauty in the bravery, rage and defiance of the Palestinian youth who turn up to defend their communities from the regular Israeli army invasions of Al-Khalil. Say what you want about tactics of resistance, definitions of non-violence, pacifism. Seeing boys no older than 15 face down an attack from one of the most advanced armies in the world, armed with nothing but stones, their experiences and courage is a beautiful sight. It’s a sign of the future and reminder to the oppressor that resistance is woven into the fabric of life here in Al-Khalil. I don’t want to romanticise the oppression of the occupation, or try to paint a picture of it through rose-tinted glasses. However, places like Al-Khalil usually only grab international attention when an injustice or an atrocity occurs. Yes, they occur regularly, but there is so much more to this place than violence and oppression. Come to Al-Khalil and look for the beauty. Before long you will begin to see it everywhere. Come to Al-Khalil to work with all its wonderful residents to build a world in which they can direct their creative energy at something better than an occupying force. 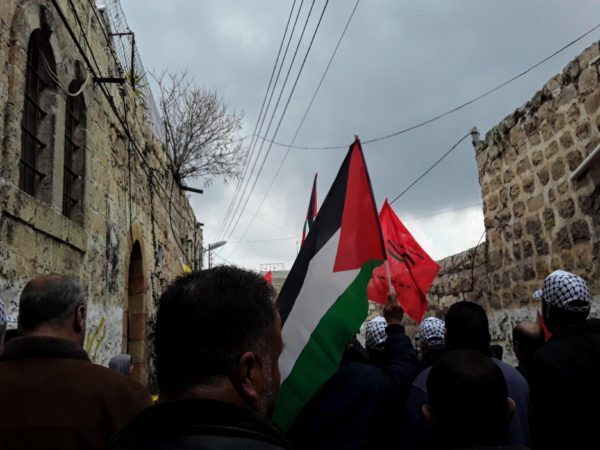 Come to Al-Khalil to end the occupation. Visit the International Solidarity Movement.